Activities highlighted in BLUE will be located at the Outdoor Music Stage. Activities highlighted in PURPLE will be located at the Tupperware Gypsy Wagon Outdoor Kitchen Stage. Activities highlighted in BROWN will be located at the Derksen Portable Building Stage. 10:00AM: Tiny Firehouse Stage – Opening Comments and Announcements. 10:00AM: Tiny Firehouse Stage Opening Comments and Announcements. 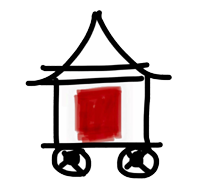 5:30PM: Tiny Firehouse Stage – Tiny House Awards Presentations, Prize Give-Aways, & Closing Statements.